A “paradigm” is a mental model that describes a particular view of the world. It is a set of rules and regulations that defines boundaries and provides a means for being successful within those boundaries. The church is currently undergoing massive paradigm shifts. Before, tradition was central. Now, relevance is. Yesterday’s spiritual leaders were judged on the basis of how closely they followed “hallowed traditions.” Today your ministry must be relevant and transforming. It must have impact. Before, stability was cherished. Now, change is. The church is a living organism. No change means no growth, and no growth means death. It takes more energy to maintain status quo than to use change as a source of energy and fruitfulness. Before, leaders were expected to control. Now, they are expected to empower. Strict, central control used to be essential. Today’s leaders, however, give power away in order to increase effectiveness. They empower others with responsibility and the authority to act. Before, leaders competed. Now, they collaborate. We are on the same team, working for the same Lord toward the same goal. Instead of competing for the affiliation of the saved, we must compete with the world, the flesh and the devil for the lost. Before, we built autonomous ministries. Now, we build relationships. In the past, leaders were concerned with building their individual “ministries.” Today long-term relationships with other people are more important than any potentially short-lived ministry. Before, a position of leadership brought privileges. Now, it brings responsibilities. People used to compete for positions for the privileges that came with it. 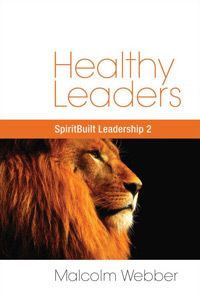 Today, leadership carries with it a greater burden of spiritual responsibility. Before, credentials were very important. Now, performance is. Yesterday’s leader held the degrees and the title; he was in charge and people followed him. Today, many successful leaders have no degrees at all, and people don’t care as long as he or she is effective. Before, faithfulness was sufficient. Now, effectiveness is expected. Faithfulness is showing up on time and not complaining about your pay or work conditions. This is no longer sufficient, you must also accomplish – continually. Before, spiritual leaders were “prepared” for ministry. Now, they must be lifelong learners. Being a “spiritual leader” used to involve acquiring a limited set of skills during seminary. A shifting environment now demands that leaders always learn new things. Yesterday’s skills cannot keep up. Before, preaching was more important than strategy. Now, strategy rules. Preaching used to be the main function of the church leader. While it is still vital, the spiritual leader is required to be heavily involved in leading strategies for an extensive team of leaders. Before, ministry in the church depended on the leader. Now, it depends on the team. It takes a team to build today’s church. Today’s leadership consists of gifted men and women sharing primary leadership responsibilities. The senior leader becomes team builder and coach. Before, leaders were born. Now, leaders are made. Today we recognize that leaders are not just born but also made. Since many leadership skills can be learned, people at all levels are expected to develop in leadership. Before, leadership was closed-door. Now, it’s open-door. Decisions used to be made behind “closed doors.” Today the people want to know what is happening, and demand to be part of the process. Effective servant leaders welcome this collaboration. Before, leadership was infallible. Now, leadership is honest. Before, failure was to be avoided at all costs. Now, you can take risks and learn from failure. Leaders know now that when they fail it does not make them failures. They must be willing to fail in order to succeed. Consequently, they take risks and learn from failure. Before, good management made successful churches. Now, good leadership does. Yesterday’s paradigm assumed that if we are efficiently producing short-term results, we are successful. Today’s effective leadership must make necessary changes and establish world-changing vision. Before, the church was just a collection of individuals. Now, it is a living community. Today’s leader is building a living spiritual community that exists all week long – 24 hours a day, 7 days a week. This is harder to accomplish, because it requires new vision and a different set of skills! Before, you “went to” church. Now, you “are” the church. Before, the people were spectators. Now, they’re participants. Before, the pastor did everything while the congregants looked on. Today’s model recognizes that the primary responsibility of the leader is to equip the people so that they can do the work of ministry. Before, success was defined by narrow comparison. Now, it’s defined by broad comparison. Pastors used to be rated compared with predecessors or other pastors in town. Due to the internet and wide availability of spiritual ministry, expectations are higher than ever. This is not fair, but it is a reality. Before, theory was sufficient. Now, anything less than an experience will not suffice. In the past, it was sufficient for the leader to communicate theories of spirituality. Today, people want an experience. It is no longer enough to believe the right things; people want to know God. Before, uniformity was valued. Now, diversity is valued. Past models emphasized homogenous churches, but Christ broke down the walls between races, genders, and classes. We are all one in Christ. That reality must be reflected in our churches. Before, need and duty defined ministry. Now, gifting, calling and preparation define it. The traditional approach starts with the task and forces people into that mold. The biblical approach starts with the person’s callings and giftings, and the ministry comes from them. Many of these changes are Spirit-driven, reflecting returns to a more biblical style of church life and leadership. When paradigms like these shift, the rules change, the roles change, and the definition of success changes. These and other similarly profound changes have caused many “old school” leaders pain and disequilibrium as they have tried to understand and embrace the new paradigm. As we move forward we need to be thoughtful and loving – we need to understand the difficulty this presents for them. But we also cannot base our ministries on ideas and methods that no longer work. We must shift, just like our paradigms have.